Chilli Bajji - Mirchi Bajji recipe(Milagai Bajji in Tamil) is an easy snack recipe to make very quickly. The only effort we need to put is taking out the seeds to avoid the heat. When I stayed with my friends while working, we bought this Bajji Milagai(Bhavnagri Chilli) one day to make bajjis. We did not know that we need to remove the seeds from those chillies. We directly fry it and at last we had to eat the outer part of the bajji without the chilli. 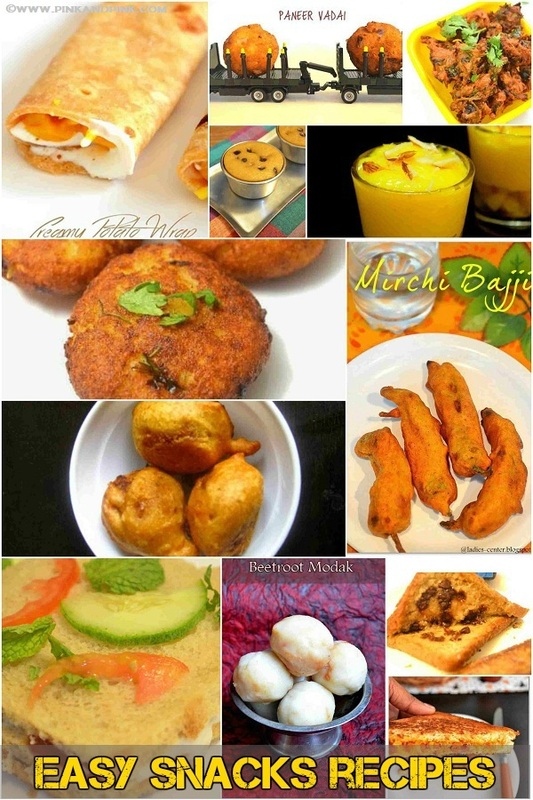 There will be no exhibition in Tamilnadu without milagai bajji stall and Delhi appalam. People will never feel bored of eating milagai bajjis each time they go to exhibitions. Sadly, I have never seen Bhavnagri chillies in Tirunelveli vegetable shops and market till my college days. But, it is widely available in Chennai even in small vegetable shops. 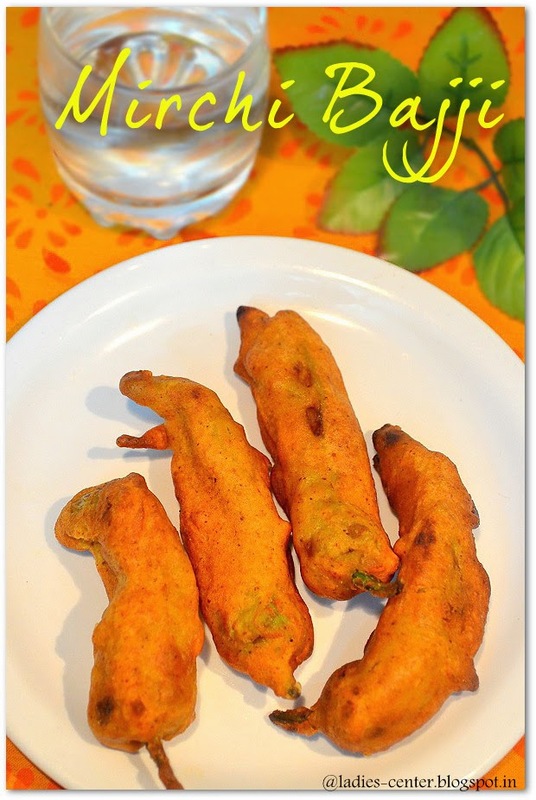 Milagai bajji/Mirchi bajji is a great party snack which is very easy to make. You can plan to make mirchi bajji when you expect guests at home. Okay, now let us see how to make tasty chilli bajji - milagai bajji- mirchi bajji at home. 1. Clean the Bhavnagri chillies and allow it dry. 2. Make a vertical slit in the chillies as shown in the picture without breaking the chilli. Remove the seeds carefully with the help of a knife. 3. 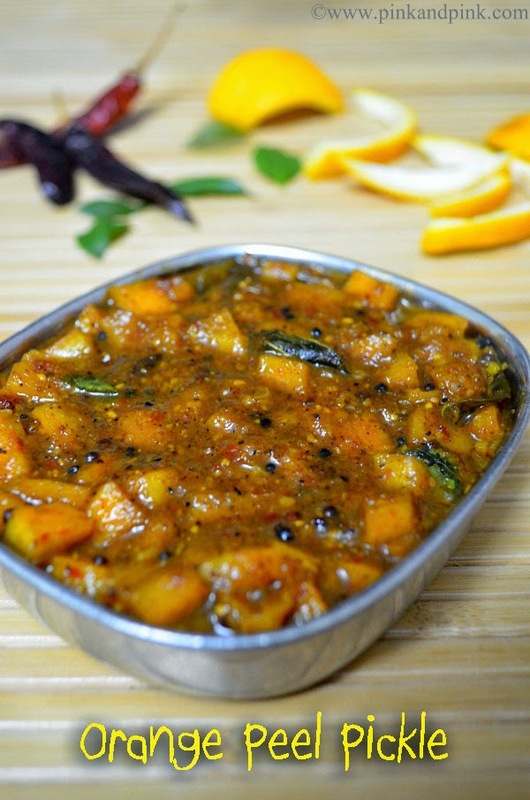 Mix besan flour, red chilli powder, cooking soda(optional) and salt in a mixing bowl. 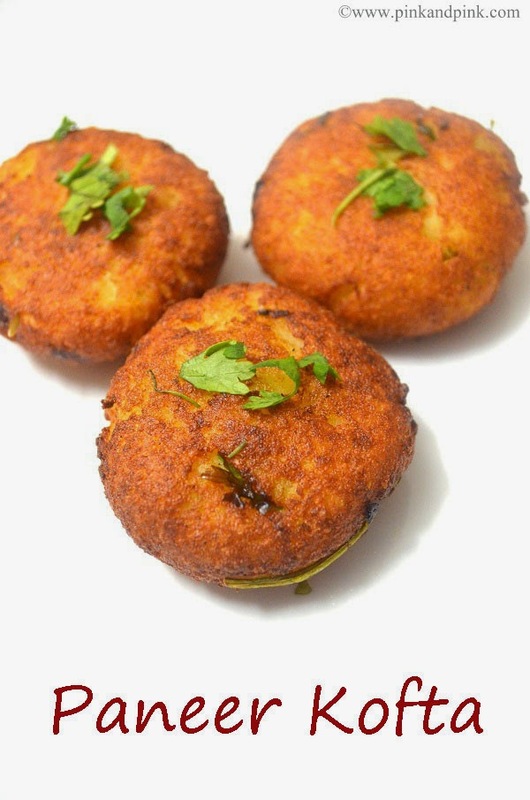 Add water little by little and make slightly thick bajji batter in idli dosa batter consistency. Check notes for the consistency of the batter. 4. Heat oil in a kadai for deep frying. Once the oil is hot, dip the bhavnagri chillies one by one in the batter and deep fry them in oil till they turn golden brown color. Make sure that the chillies are coated well with the bajji batter. 1. 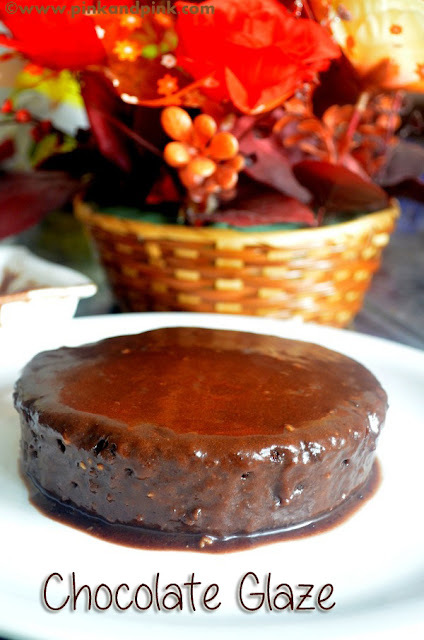 I have used besan flour alone in this recipe. 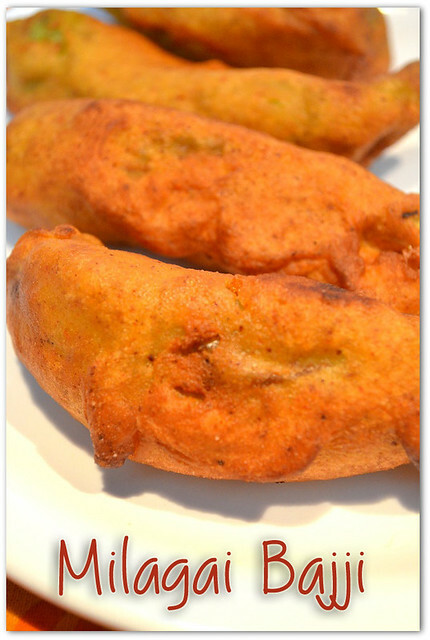 To make more crispy milagai bajji, you can follow the batter recipe in my Aloo Bonda post. You can use besan flour and rice flour in 2:1 ratio too. I prefer the soft mirchi bajji than cripsy ones. 2. The batter should not be either so thick or thin. It should be thick enough just to coat the chillies well. 3. I mostly try to avoid cooking soda as far as possible. I have made this without cooking soda and it came out well. 4. The mixing bowl should be shallow and have good breadth so that we can dip the chillies well inside the batter. 5. No of chillies you deep fry them at a time depends on your kadai/pan. Also check more easy to make snacks recipes for kids. This looks so very yummyiee! 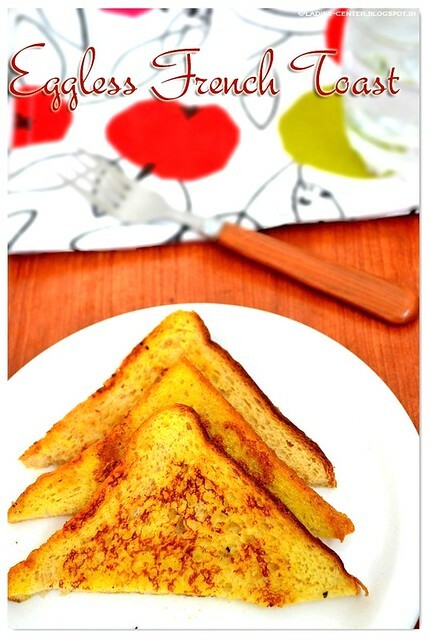 I love Mirchi Bhaji :) Thanks for sharing Hun!